"Packed into every page of this book is the excitement of discovery, knowledge, taste and visual beauty. It all gives the reader the illusion of being at an actual performance." Placido Domingo "Opera is a beautiful guide for opera enthusiasts as well as the perfect welcome for converts to this ancient rite. It offers today's and tomorrow's audiences a delightful "navigation system" along an avenue that leads from Monteverdi to Bob Wilson." Stéphane Lissner, Director of the Teatro alla ScalaEssential reading – whether you are a seasoned opera goer looking for a quick brush-up before a performance, or new to the genre and wanting to know more.From Baroque to Italian, from Vivaldi to Debussy explore 400 years of music drama from late-Renaissance Italy to works from contemporary names including Philip Glass and Thomas Adès. 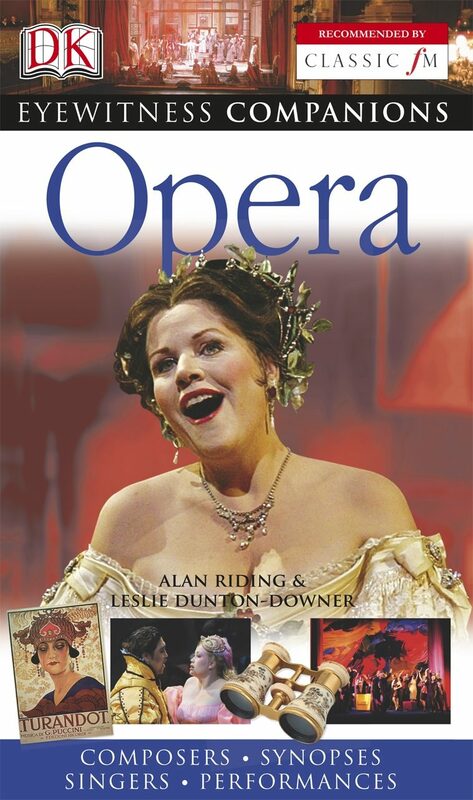 Discover hundreds of classic and modern opera interpretations, learn about the lives of operatic masters, from Monteverdi to Adams plus, read act-by-act synopses of more than 160 operas from Madama Butterfly and Tosca to Candide and The Maid of Pskov which signpost the highlights of each opera and help you follow the story-line and identify characters. Eyewitness Companions Opera – music for your ears and eyes.